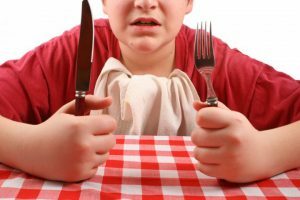 Hunger Confusion - am I really hungry? 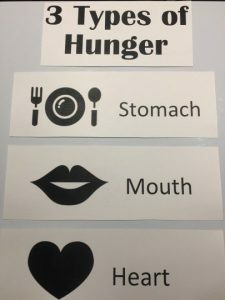 How can I encourage kids to understand their hunger cues? If you are a parent or caregiver the best way to ensure kids learn to honour their hunger is to role model honouring hunger cues yourself. Kids learn what they live. ngry and how they know they are full. Also teach them to label stomach, mouth or heart hunger by ordering a copy of the fantastic kids book “Is this Stomach, Mouth or Heart Hunger?” written by Wendy Shah and Illustrated by Patrick Sully. 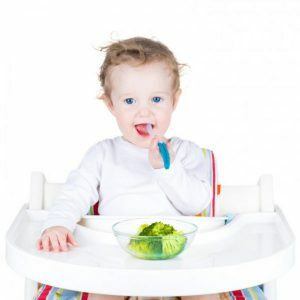 Data from observational research studies suggests that if you provide kids with access to a varied diet of foods without pressure or restriction from adults, the vast majority of young children will self-regulate their intake to consume adequate amounts. The best thing to remember is to follow the principals of the division of responsibility (i.e. parents are responsible for what their child eats and the child is responsible for how much). Where can I find more information on Calgary Nutritionist services? Contact Andrea Holwegner at www.healthstandnutrition.com to discuss the nutrition counselling services at her Calgary dietitian office and work one-on-one with a Registered Nutritionist that specializes in meal planning, weight loss, eating disorders and overall wellness through a non-dieting approach to enjoying food again. Are you struggling to determine the type of hunger you are feeling? Are you struggling with family mealtime? Contact us for practical, helpful assistance for your whole family.